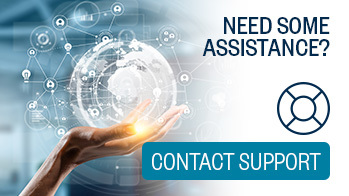 Certiport, a Pearson VUE business, is the leading provider of certification exam development, delivery and program management services delivered through an expansive network of over 14,000 Certiport Authorized Testing Centers worldwide. 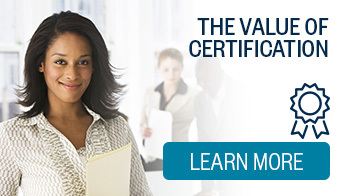 Certiport manages a sophisticated portfolio of leading certification programs including: the official Microsoft Office Specialist certification program, the Microsoft Technology Associate certification program, the Microsoft Certified Educator program, the Adobe® Certified Associate certification program, the Autodesk Certified User and Autodesk Certified Professional certification programs, the Intuit QuickBooks Certified User certification program, and the IC3 Digital Literacy certification. Certifiy in Adobe After Effects, Photoshop and Premier Pro to get the Video Specialist Credential. 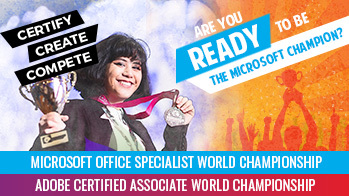 Meet the Microsoft Office Specialist 2018 World Champions!